Chocolate is one of the nation’s favorite treats during special occasion like birthdays, Valentine’s Day and Christmas periods. Research has proven that to get the maximum health benefits chocolate, opt for dark chocolate which has a cocoa percentage of at least 70%. 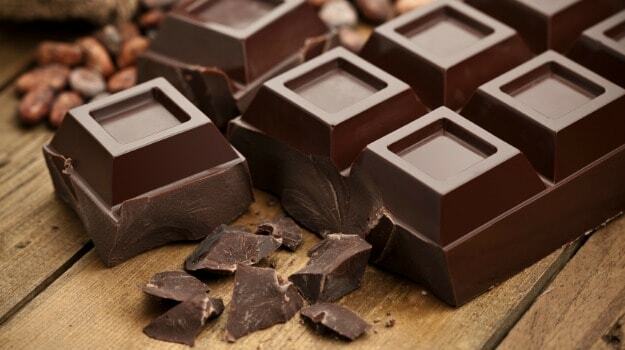 Dark chocolate is full of antioxidants that helps to lower blood pressure. The flavonoids in the chocolate produces nitric oxide in the body which improves blood flow and results on lower blood pressure. The darker the chocolate, the lower in fat and sugar. The antioxidant flavonoids found in cocoa helps prevent cancer. They work by stopping the body from making free radicals which damages cells which causes cancer. It has been discovered that antioxidants found in a certain type of cocoa could rapidly increase blood flow to parts of the brain. The study revealed that cocoa could have positive effects on adults suffering from memory loss and mental decline. Chocolate is an aphrodisiac. Chocolate contains dopamine which is a natural pain killer. A study in the US revealed that eating chocolate rich in cocoa just three times in a month can add a year to your life expectancy.